Josh Murray’s family have been part of the fabric of Glenthompson’s farming community for five generations. Josh spent his childhood in the small community between Hamilton and Ballarat and was one of only 16 children at the local primary school. He then enrolled at Monivae College in Hamilton and discovered an interest in medicine and science that has seen the 22-year-old move to Melbourne to pursue a Bachelor of Biomedicine and a medical degree at the University of Melbourne. But Josh, a first-year Doctor of Medicine (MD) student, will return to his rural roots as soon as he qualifies as a GP. “When I was growing up there was one dentist and one doctor’s clinic in Hamilton. You might wait three months for a dental appointment and wait for a week to see the doctor,” says Josh. Josh decided to study at the University of Melbourne after taking part in a summer school for VCE students when he was in Year 12. VCESS sees the University’s students volunteer to tutor more than 500 students from disadvantaged backgrounds, including students from rural and regional Australia. “I was keen to pay back so I’ve tutored students in biology and I really enjoyed it. I found the program amazing and it inspired me to go to University and to follow my career pathway,” says Josh. 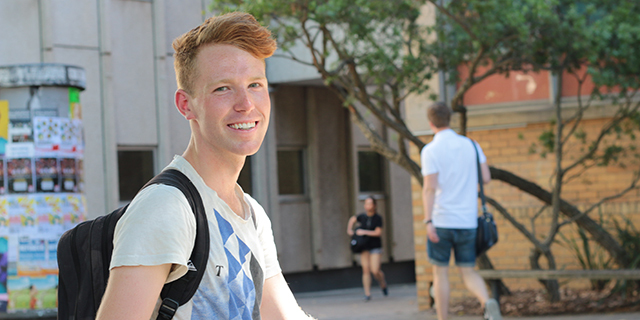 The move from Glenthompson – population of around 232 – to Melbourne was a major transition but Josh has settled in and is focused on completing his studies so he can help rural communities in the future. “I moved from a place where you bump into five people you know on the way to the shop to a place where I didn’t bump into anyone I knew,” says Josh.